Going solar at home in Virginia may look better to residential customers of Appalachian Power with an rate increase set to take effect on Nov. 1. Appalachian Power customers in the state will see a fee increase on their bill that will amount to the average residential customer using 1,000 kilowatt-hours a month paying $3.78 more for the company’s fuel costs associated with generating electricity, the Roanoke Times reports. However, the Virginia power company says that increase would be offset by its plan to credit customers for $55 million courtesy of the federal corporate tax cut that was passed and signed into law last December. Appalachian Power said in its application for the rate increase that its credit is “is approximately equal to the requested increase in the fuel factor,” meaning its customers won’t be paying any more than they have previously. This interim increase goes into effect in November, but the Virginia State Corporation Commission will determine whether the increase becomes permanent after having an open hearing in February. If the SCC denies the rate increase, the difference would be refunded to consumers, the Roanoke Times reports. While Appalachian Power did decrease rates earlier this year by approximately 6 percent for its average residential customer, the company also benefits from having the chance to keep excess profits more readily than previously after a state bill passed earlier this year permits power companies including Appalachian Power to do so. It is great that Appalachian Power customers have a net-zero increase from this fuel surcharge, but this is the latest proof that power companies routinely raise rates and pass on those costs to consumers. In fact, power rates across the U.S. have risen nearly 70 percent since 2001. Wouldn’t it be great to push the pause button on rate increases imposed by your power company and own your power instead of continually renting it from the power company? There is a way to do that — by installing a solar system at your home with the help of POWERHOME Solar. POWERHOME Solar would love to be the company you work with for your install. 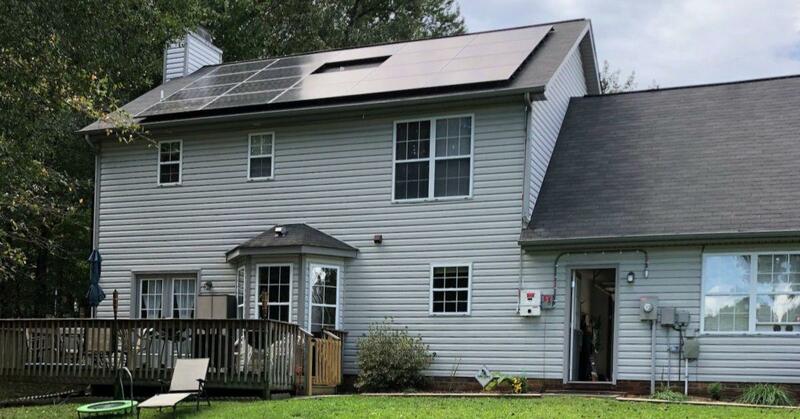 With our innovative solar program, Virginia homeowners can go solar for $0 up-front cost, save money on their electric bills, and generate their own energy. The solar panels installed on your home are American made and come with a 25-year warranty, with many panels expected to last well beyond that. The average solar customer is expected to save tens of thousands of dollars over the lifespan of his/her system. Please feel free to contact POWERHOME at 800-765-2715, and one of our solar representatives will help you determine whether your home qualifies for this solar program.